Jim Leonard focuses his practice in the areas of insurance coverage advice and litigation on behalf of policyholders. With a dedication to maximizing client coverage and recovery while minimizing expense, Jim is committed to ensuring each client he serves receives the full benefit of their insurance investment. A trusted business adviser, formidable litigator and veteran insurance professional, Jim focuses on developing dispute resolution strategies that put his clients in a position to prevail when critical coverage is denied. Jim has assisted policyholders in recovering insurance proceeds in a wide variety of industries and professions. 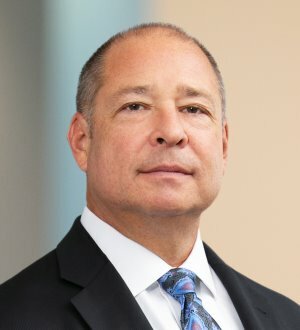 His experience includes airlines, auto parts, banking, technology, religious and nonprofit organizations, communications, construction, consumer products, credit management, hospitals, infrastructure, nursing home and long-term care facilities, paper and other forest products, pharmaceuticals and medical devices, physicians, property management, universities, and many others. Jim also works with clients on their environmental insurance recovery efforts, with a particular emphasis on the recovery of insurance proceeds for environmental hazards such as pollution and asbestos. He has also assisted clients in addressing sophisticated insurance and indemnity issues in the course of mergers and acquisitions, and has helped with the formation and management of captive insurance companies. Moreover, Jim provides legal counsel to healthcare and life and health insurer clients on significant matters of law, including stranger-owned life insurance, ERISA, state regulatory and licensure issues, and general litigation. Prior to private practice, Jim served as vice president, claims and general counsel for MAG Mutual Insurance Company in Atlanta, which is Georgia’s largest professional liability insurer. Having worked for many years as counsel for an insurance company, Jim knows the dynamics of the insurance business from the inside out, giving his clients today an advantage in discovery, depositions, settlement negotiation and at trial. Jim understands how insurance companies operate and what inherently drives their agenda. As a result, he is able to anticipate their next steps and apply the right strategy to counter that position. After decades representing policyholders and working in-house for insurance companies, Jim is well-versed in the financial and even emotional impact of a coverage dispute. Level-headed, amiable and a dedicated professional, Jim is appreciated for defending policyholders faced with dire consequences in the event their insurance company fails them. He has resolved complex litigation involving practically every type of coverage and ranging in value from millions to hundreds of millions of dollars. Regardless of the size or difficulty of the matter, Jim seeks to understand his clients’ position and provide practical, considerate, effectual and aggressive advocacy that results in the financial recovery his clients deserve. Prior to joining Barnes & Thornburg, Jim was a partner in the insurance recovery group at a large Atlanta-based law firm. He is a frequent speaker on insurance-related subjects around the country.